Grenade Nutrition owns a small line of supplements, but each supp they offer packs a powerful blast to help your transformation or ever-changing, lifelong fitness regimen. Check out Shane Raymond's supplement stack to see if Grenade can help you win the battle against your goals. This is not a civil program; this is war. "I'm a great believer in the use of supplements," Shane says. 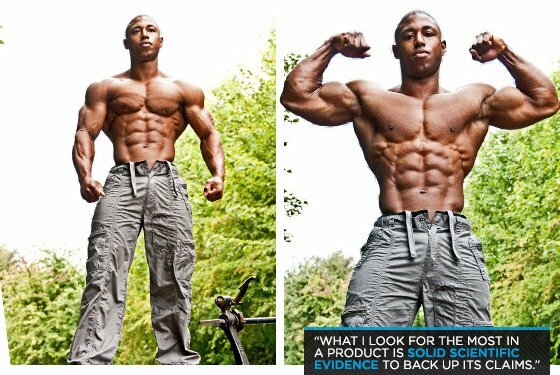 "As a natural bodybuilder I'm looking for everything possible to give me that extra edge naturally. I don't go for really cheap supplements. I only use what I believe are the best products on the market today." Shane checks labels and researches everything he uses. "What I look for the most in a product is solid scientific evidence to back up its claims, and the quality and the amount of individual ingredients used. I find that the supplements I use work very well for recovery, strength, focus and general health."